Bare Root Strawberry Plants are a welcome addition to any home orchard garden. Strawberries plantings are easy to grow and require a minimum of space.Virtually no chemicals are needed to grow healthy, tasty strawberry berries. 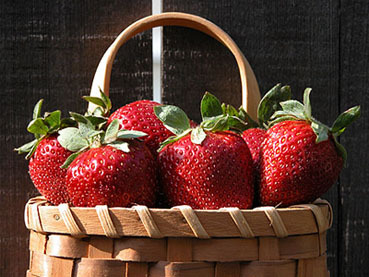 Strawberry tip: Grow strawberry plants in open sunny areas as ground covers. Plant in spaces that will not have a lot of foot traffic.